Tourism INDABA will put a firm focus on and have a special showcase of the sector’s Small, Medium and Micro Enterprises (SMMEs) this year. 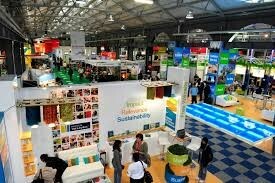 For the first time at INDABA, there is a Hidden Gems Zone built to showcase products and services from 70 South African SMMEs. There will also be workshops facilitated to provide knowledge and tools on how to access the market and grow their businesses. The significant role that SMMEs play in the economic development of both developed and developing countries, and in this instance the growth of the tourism sector, is recognised and supported by South African Tourism (SA Tourism). 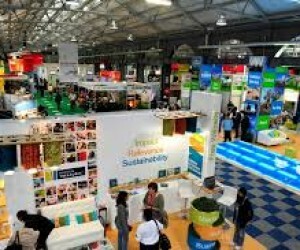 The exhibiting SMMEs were selected for their uniqueness and authentic representation of South Africa as a destination. Of these, 20 focus on the adventure experience that the country offers. This is in collaboration with the Tourism Enterprise Partnership (TEP), a Non Profit Company, which facilitates the growth, development and sustainability of small tourism businesses, in sourcing the SMMEs, as well as the National Department of Tourism’s (NDT) Tourism Incentive Programme (TIP) to fund them. In addition to the workshops provided for these SMMEs, SA Tourism is bringing 150 local hosted buyers who will meet with the SMMEs and have further opportunity at a SMME networking event on Sunday, 8 May to consolidate relations and business. The SMMEs also include 14 Lilizela Tourism Award winners. They won the coveted Award which recognises product and service excellence in the tourism industry by showcasing and honouring their world class quality. The Awards also work to build the country’s reputation as one of the best tourism destinations in the world. The Awards, whose name means to ululate: an act of congratulations when someone has done something well, are unique in that the voters are consumers and not the industry. Therefore, it is the entrepreneurs who provide an extraordinary experience capped by superior excellence to visitors that are recognised and celebrated. On Sunday the 8th May at 14h30, one of the INDABA media briefing sessions, Media Talk, will also focus on SMMEs in the tourism industry when a panel discussing the economics of tourism, will examine the question of how tourism businesses impact on their local communities, and what government policies, processes and projects are currently in place to ensure the empowerment, development and the growth of small businesses. The Media Talk panel will comprise of Dr Salifou Siddo, CEO: Tourism Enterprise Partnership (TEP); Mmatšatši Ramawela, CEO: Tourism Business Council of South Africa (TBCSA), and Michael Mabuyakhulu, MEC: Economic Development, Tourism & Environmental Affairs – KZN. The panel will be facilitated by POWER FM presenter Andile Khumalo.